New homeschool parents often have many questions and doubts about the prospect of taking full responsibility for their children’s education. You might feel like you are leaping off a cliff into the unknown. You are taking a leap of faith and you are not quite sure what the outcome will be? Can I cope with a baby on the way or toddlers? 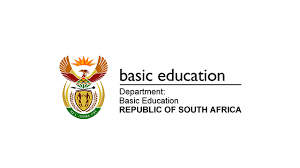 Should I register with the Department of Basic Education (DBE)? Will my child get a job one day? How do I choose the right curriculum? How will we survive if I quit my job? Will I manage to juggle my job and homeschooling? I have 6 kids – can I really do this? Will my child be able to study further after grade 12? Should I Homeschool an Only Child? For comprehensive information about Starting Homeschooling, enrol in the 6 part webinar series at Teachable.com. Create a free account and then sign up for the series. You can download them to watch at your convenience. Homeschooling should not be school at home. A mom (or dad) does not need to spend 6 hours of the day teaching the children. About 2 hours a day of her full attention should be enough. Then they should be able to do some activities on their own, especially once they can read. Children also need to be trained to help with chores so that they are part of a team that contributes to the running of the home. It’s tough in the beginning when they are small, messy and not much help. 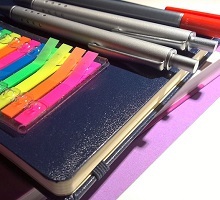 You may need to lower your standards of neatness to guard your sanity at that stage. It gets better as you get better organized and get systems in place to help you with the smoother-running of the home. They also get older and more efficient at helping. Every home and family will still have challenges and this will force you to grow in character as you face your flaws and work on learning good relationship-building skills in the face of these challenges. Deal with attitudes first and academics later. This means that sometimes a character-issue will become the lesson for the day and books will have to be put aside for another time. These heart-to-heart lessons are priceless. They equip your children for life, so don’t only measure education by pages completed in books. When it comes to your marriage, you will both have to make it a priority and set aside time to work on all aspects of the relationship. Take time out to be alone – whether it is in the bedroom, a walk around the block, a chat after the kids are in bed, a coffee date or even a meal out, when finances allow. Make the effort as this tells your partner that he or she is special and also a priority, not just work or the kids! When I started homeschooling in 1997, I was a stepmom to a 5 year old, with no biological children of my own. This was one of my worries too, but I read about a mom with 6 kids: three were of school age and three were toddlers and she assured me that it can be done. For the first 12 years of my homeschooling experience, I was either pregnant or had a baby or toddler or all three of the above! …and I am really not a supermom. Some days were hectic, full of interruptions and it felt like no learning happened – but guess what, THAT was the lesson. My children have witnessed how we cope with crises, with interruptions and how to care for little ones! You can do it. You are not teaching a class of 30 kids, just one or a few, so you can be flexible when you have a newborn to tend to as well. If we view ALL of life as learning, then you will be modelling important life lessons for your older children. Statistically, there is a good chance that they will become parents themselves, one day and now they will get to be at home with you all day and witness how you care for a newborn, a growing baby and later a toddler. These will be priceless lessons that your children won’t get in a classroom or between the pages of a text book. Even if you did nothing else educational that year, this would be valuable education for LIFE. However, when you are homeschooling, you can take advantage of the time it takes sitting feeding a newborn and read aloud to your older children. Read, read, read as much as you can and they will learn plenty. If they can do other work independently, that will be a bonus, but if not, it really doesn’t matter. Education is not a race, so they will not get behind, they will simply get a different kind of education, including topics and skills they are highly likely to need one day! 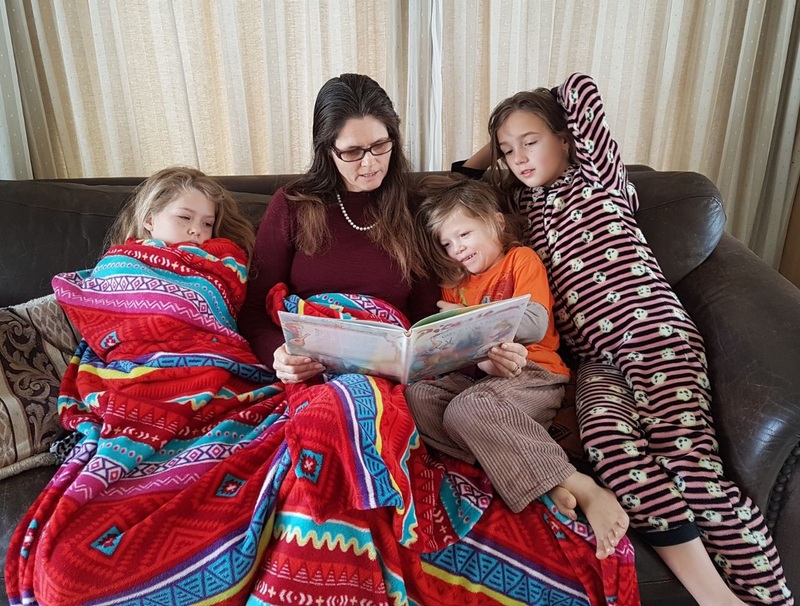 Read more about my experience of Homeschooling with Babies and Toddlers and don’t miss this mind-shifting article, The Baby IS the Lesson! Yes or No? Unfortunately, there is no short answer. You have to make an informed choice. The only way to do that is to know the risks and the benefits of each option. This is a great topic to discuss with your children, if they are old enough too: When is it is acceptable to NOT comply with those in authority over us, in this case, the Department of Education? Most of us consider ourselves to be law abiding citizens, so why do the majority of home educators choose not to register with the Department of Education? There are a number of reasons, but I will list what I think are the most important. The Constitution and other international laws state that parents have the right to choose the form of education that is in the best interests of the child and therefore most parents do not wish to hand over this right and responsibility to a stranger, the Head of the Education Department, who does not know their child/ren at all. Secondly, if you register, you risk having a government official invade your children’s privacy, which you are legally obligated to protect or potentially face prosecution. This violation of your children’s right to privacy would happen if they insisted on a home visit. Would you allow a traffic cop to come into your yard and tell you that you may only use a certain brand of oil in your car engine, you may only use a certain brand of tyres and you must roadworthy your car every year? Certainly NOT. Although he works for the state, has no authority to demand those things of your car. Similarly, education officials sometimes want to insist that you use only certain curricula with your children and that you have them tested at regular intervals, which research has shown is not in the best interests of young children. There are risks if you register and risks if you don’t. To ensure that you have legal backing to support your choice, whether you do or whether you don’t, you should join the Pestalozzi Trust, the homeschool legal defence association. They report that over 80% of the problems they help to solve are with families who have or are registering with the DBE and they do not recommend this. There is no security in having a job and being dependent on someone else for your income. Working for a boss is like selling your services to one client. If he drops you, your business is gone. Now if you sell your services to many clients, if one drops you, your business can carry on! The alternative and the solution is to let your child start his own business long before he has ‘finished’ homeschool. In our current political and economic climate, where jobs are scarce, we need to focus on raising our children to think entrepreneurially. They need to be job-creators, not job-takers. Wise parents will ensure that their children have opportunities to pursue money-making ventures while they are still living at home. It is easier to recover from a business failure while living under mom and dad’s roof, than when you are a young adult trying to make it in the world. If they mess up, the costs and losses will be small compared to making mistakes in business as an adult, but the lessons will be priceless. The only mistakes in life are the ones we don’t learn from! Our schooling taught us that mistakes are wrong and to be avoided, but we need to teach our children that mistakes are learning opportunities and it is ‘safe’ to make them – they won’t be shamed, belittled or rejected if at first they don’t succeed. We need to be their greatest encouragers in the face of real challenges! Your greatest task as a parent is not to give your child a top academic education (although that is highly likely too, if you are homeschooling) but to equip your child with the skills and the self-confidence that he needs to tackle whatever he wants to in life. You need to build a strong foundation of belonging, worthiness and competency…an “I CAN DO…” attitude. By his teen years, your child needs to have discovered his strengths and weaknesses and be pursuing some direction/field/ training/service/job where he can learn to use his talents and strengths to serve his community or the global community and earn a living doing so…or trying out a few! This could be online or offline. Our generation also needs to realise that we should not be equipping our children for one job for a lifetime. In this era, they are predicted to change careers (not jobs) as many as 14 times. Many of the jobs of the future do not exist yet, so we need to be raising up individuals who will embrace change and be life-long learners. The successful people of the 21st century need to be able to function in a world of distractions and chaos. They need to be creative innovators, problem-solvers, collaborators, good communications and of course have technological skills fitting for their field of work. You don’t learn most of the above from traditional academic programmes, text books or even online courses. They will have to practice and develop these skills by doing new things, trying different ventures, working with people and learning by trial and error. Our children need a much wider range of skills than a traditional school education will ever give them, in order to be successful in the milieu of 21st century – and most of all, they need good CHARACTER! I am Worried I Will Make the Wrong Choice and Mess Up My Child’s Future. This topic is too big to address completely in one post. In my 6 part webinar series on Starting Homeschooling, I devoted a one hour presentation to helping parents understand a variety of different approaches and philosophies of learning that are both popular and successful among the homeschooling community. I devoted another one to explaining the different criteria that you need to take into consideration, when piecing together learning materials for your unique family. Find the answers you need for your unique situation. Avoid the potholes and pitfalls that trip up so many new homeschooling families. Avoid making expensive mistakes when buying learning materials. Discover how to make homeschooling fun, flexible, effective and stress-free. Learn how to cope with the challenges that you will inevitably encounter, without losing your sanity or your sense of humour! In 6 hours, I give you 20 years of wisdom and experience for only R400 to help you shorten your learning curve! Don’t rush to buy a curriculum! If you are new to homeschooling, first take a few months to learn as much as you can about how children learn best OUTSIDE of the traditional school classroom. To me, replicating that system at home is the WORST way to implement home education , and the frequent phone calls I get from stressed out, tearful moms using school-at-home packages, confirms this over and over. Don’t become one of them! You no longer have to keep up with that system once you have taken your children out of school. You will give them a customised education and let each one of them progress in each subject at his/her own pace. You will know when they are ready to write a matric or equivalent and when they will be ready to be released to the next step on their journey. It might be at age 16 or 18 or 20 or anywhere in between. There is NO DEADLINE!!! Homeschooling is not a race. You can afford to do your research. Buying a curriculum is the LAST THING YOU NEED TO DO! It is so worth it to invest some time and money learning more about how homeschooling works best as it will build your confidence and equip you to make good decisions for your family. ALSO – when you finally do, it’s not such a big deal. Whatever you choose initially is not a permanent decision. Don’t start with too much. Buy one product at a time and ease into homeschooling gently. Don’t feel under pressure. The choice of curriculum is never cast in stone. If you try something and it doesn’t work, ditch it and try something else. This learning process is part of home education and it won’t harm your children. Often families try a few different curriculum options during the first few years and eventually settle on their favourites, after they have more experience – this is normal and will not harm your children. It is all part of the learning process – about learning what works best for YOUR unique family. It’s not the curriculum that matters most, it’s the whole process of learning together about how to learn outside of the school system that will make your home education journey a success! 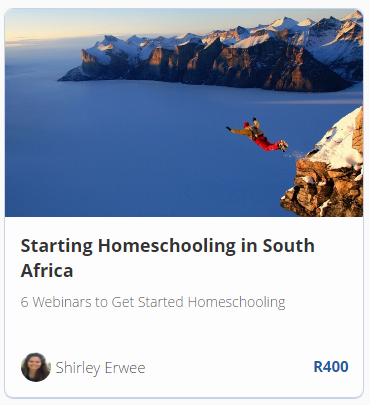 In my webinar series on Starting Homeschooling, I will share the combination of world class local and international home education products that have worked for my own family and which are also popular with many other South African homeschooling families. They are not schoolish programmes, but materials that were mostly created by homeschoolers for homeschoolers and so they are fun and effective for families learning at home. To enrol, you have to sign up for a free account at Teachable and then you can enrol for the Starting Homeschooling course and start downloading the webinars to view at your convenience. How will we survive on one income if I quit my job? If you choose homeschooling, you ‘pay a price’ but if you don’t and you work outside the home, in some ways, your children ‘pay a price’. If you quit your job, you will have to adjust your budget, change your lifestyle and live according to your means, but if you work full time, what price will your children pay? Which is the greater sacrifice? Homeschooling can save money – no school fees, no transport, no extras. You can choose how much you spend on learning materials. You can buy what you can afford and use the library and the internet for the rest . When you give up working, you no longer have to a pay for day care, for transport to work and back, parking, tax, working wardrobe, quick lunches or suppers or any other work-related expenses. To help supplement the family income, you can later consider starting some kind of home business that you can do part time. I recommend the online course, How to Build a Lifetime Business Online, by Peter Carruthers. He has been the inspiration behind at least two of my online ventures, which have made a huge difference to our finances and lifestyle. Invest in learning how to start an online business that suits you – your knowledge, experience, interests. He will show you the tools to make it easy and coach you through the learning curve. Don’t believe that your current financial situation will be permanent. Things can and do change. Money was really, really tight, when we started homeschooling 20 years ago with one child. There was no ways we could afford the large family we have now, but in due season, our circumstances have changed and changed again and new opportunities came our way. We worked hard and made sacrifices (like moving house 19 times in 23 years) to achieve our financial goals. Now that we are in a more comfortable season, we really appreciate it because we know what it was like before. Make it a goal to reduce and eventually pay off any debt that you may have such as any clothing accounts, credit cards and even debt owed to the bank for your home or vehicle. When money is tight, you quickly learn to be more conscious of distinguishing between wants and needs, luxuries and necessities! Learn to plan your grocery shopping: shop with a list and don’t add any extra treats as you pass the ‘isle of temptation’ that leads you to the cashier! The less times in a month you visit the shops, the more you are likely save! Learn to make your own cleaning products from basics like vinegar and bicarbonate of soda, instead of more expensive brand-name cleaning products, which are also NOT eco-friendly. Make it a priority to research things like ‘frugal housekeeping’, ‘frugal homeschooling’ and learn money-saving tips from other moms. If other families can find a way to survive on one income, so can you. Have an I CAN DO IT attitude and you will succeed! How to Build a Lifetime Business Online might be just the solution you need. It was for me! If your children are preschoolers, they need maximum time for unstructured free play as this develops the frontal cortex of the brain best for formal learning later on. They don’t need to be drilled in reading and writing at this young age. They need to play out of doors. More about that here: Play is the Work of Childhood. Read aloud to them every day and let them count and work in the home alongside you. If they are in Grades 1-3 and they are ready to learn to read and write, they need short lessons, no longer than 15-20 minutes at a time, then read aloud to them and let them play. If they are older and can read instructions for themselves, let them do a few lessons of 20-30 minutes each in maths and languages independently, if possible and then read aloud to them for about an hour a day. By high school level, your children should have taken ownership of their learning and should be able to work alone most of the time. Read aloud to them every day too – even if they are old enough to read alone. Are you catching the repetition? Read aloud to your children every day. Literature-based learning has the added advantage that children of different ages can learn together, simplifying lessons for the parent. Only their maths and language activities need to be on different grade levels. Reading aloud together in our home! If you have time for nothing else, they will still learn. 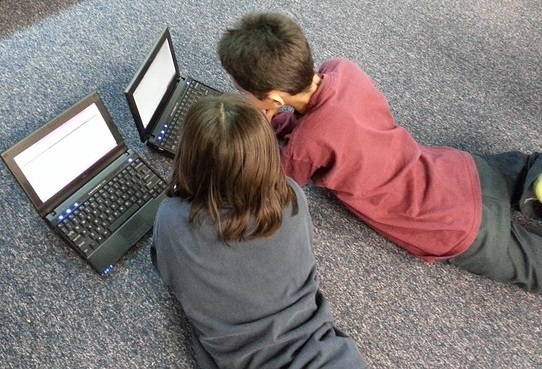 Their natural curiosity and their desire to learn the skills that grown-ups have will motivate them (sooner or later) to learn the skills they need. Sharing books means you are sharing learning experiences with your children. Books are all about how people in different place and times solved their problems, overcame an adversary or their own fears and grew in wisdom and character. Those are lessons you don’t find in text books either. Wow, I say that often. There are so many lessons that we homeschoolers are able to help our children learn because they are out of the confines of the 4 walls of a classroom, living life alongside us and not limited to text books only for their learning. Your task is to give your children a love of learning, to develop their self-confidence and the motivation to do what they need to do to achieve their goals. Stick that somewhere you can see it often. This quote is my mantra. It has got me through many a bad day, when I felt like we hadn’t done enough! Lighting that fire takes much less time than filling a bucket, and that means you can juggle working and homeschooling. I do every day! As long as they aren’t sextuplets, I am sure you can cope! Multi-level homeschooling is challenging, but there are many homeschoolers with larger than average families and somehow they manage, so you can too. I have 6 and I juggle! Sometimes I ‘drop a ball’ but we manage! If you are NOT replicating school at home, then you don’t need 6 different sets of text books for each child and six different lessons plans for each of 6 subjects for each child. Imagine doing 6 x 6 – you would burn out for sure! You can implement multi-level home education, where you group children that are close in age together and they learn the same topics together. Just their Maths and Language materials can be at different grade levels, if necessary. Have regular routines in the home so that the children know what is expected of them at different times of the day. Start with meal times and then the in-between times. Give the smaller children your focused attention first, one-on-one time like cuddling up and reading a story or a craft activity and then they will usually be happy to entertain themselves for some time, while you give attention to the older children. Train your children towards being able to work independently. Train your older children to be helpers in the home, doing chores as part of the family team. Try a buddy system, where you pair and older and a younger child to work together or to get ready to go out together. The older child must learn to assist the younger one. Use learning materials, like literature-based programmes and unit studies, which are aimed at multi-level learning so that children of different ages can learn together. Reading aloud as a family is a great bonding and learning activity as you all have the same shared experience to draw from. The Footprints programmes I co-authored are ideal for this. Include the younger children as much as you can. Be flexible – work around the nap times and bedtimes of little ones, if you need to give other children some one-on-one attention without their interruptions. Work on character. Everyone has to learn to wait their turn and be patient and kind to younger siblings. Little ones also need to learn to be quiet and wait sometimes. Don’t compare what you achieve in your home with other families whose circumstances or number of children may differ. If you are doing the best you can on any given day in your home, that is enough. Your children have the advantage of relationships with their many siblings that smaller families don’t have. Remember that, when there are things you don’t do because of the limits that your large family places on you and your budget. We are living in the Information Age. Anyone who wants to study further after grade 12 is without excuse. There are plenty of Massive Open Online Courses (MOOCs). These are free online courses available for anyone to enroll. MOOCs provide an affordable and flexible way to learn new skills, advance your career and deliver quality educational experiences. Websites like Alison.com, Udemy, Udacity, Coursera, EdX and many others offer free courses in a huge range of skills, which will equip your children to work and earn money in the 21st century. If you are asking “Can my child study at university after grade 12,” meaning a traditional brick and mortar institution, then the answer is also “Yes”. Home educated students can and do study at universities and private tertiary institutions. However, before embarking on this route, you need to weigh the pros and cons carefully. 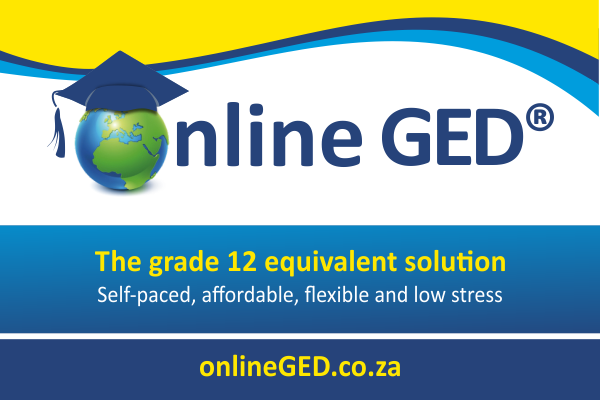 Given the financial costs, online alternatives and the current political unrest of campuses in SA, make sure that this is the most sensible route for what your child wants to achieve in life. For some career paths, where professionals need a licence to practice, a degree might be the only option, but for many others, there could be more sensible, safer or more cost effective ways for your child to continue her education to achieve her career goals. My 6 part webinar series on Homeschooling High School explores this theme and the options and alternatives in greater detail and includes some success stories of homeschooled graduates. examine self-directed learning and other ways to further your education without getting back into the mainstream system and spending a small fortune! Here are some success stories of homeschoolers who have been accepted to study at university and other tertiary institutions. This is NOT the only form of success. There are also many homeschooled graduates who have found alternative routes to success. Some are self-taught entrepreneurs who sell their services online. Some have turned their sports, hobbies and other passions into business ventures of various kinds. Remember, academic achievement is not always the requirement for success as an adult in the market place. GED Success Stories – Students who completed their GED® credential (foreign grade 12 equivalent) and were accepted to study at university. Home education has enabled this exceptional youngster to complete his Cambridge A Levels at age 13 and he will start his B.Sc degree at age 14 at the University of Pretoria in 2017. Not only has this young man won numerous national kite surfing titles and appeared on TV on numerous occasions, but he has also earned distinctions at university – and that, without a formal matric certificate! A story of Cambridge Matric Success accomplished by a home educating family. 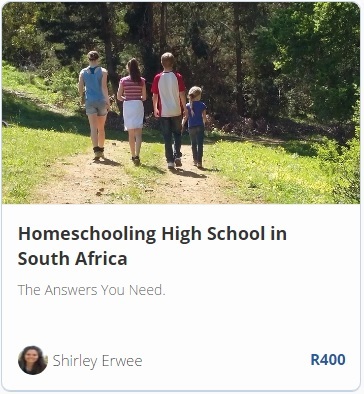 An Afrikaans-speaking homeschooling mother shares the story of her daughter’s home education and success as a young adult. Homeschooled from birth, she started her first business at age 13, her next venture at age 16, worked overseas at age 18 and was accepted to study at university at age 19. Most homeschooling parents need to make a mindshift and rethink what it takes to be successful in the 21st Century. Our generation was taught to get good grades, study and get a good job so you can have security in life. That formula doesn’t work anymore! It takes more than good grades to be a success. In fact, good grades are probably optional! My article, Schooling is not the Secret to Success confirms this! 6 Webinar recordings of 1 hour each with Questions and Answers plus notes in some lessons. Since many homeschooling families have larger than average families, small families, some as small as a single parent with a single child often feel very different to the perceived norm. On a side note, let me just address that feeling. When I was single, I used to feel ‘out’ in certain social situations as I wasn’t married, then I got married and felt out because I didn’t have children, then I had children and I felt out as they were babies and toddlers I had to run after and other families had older children who could be more independent. Then I felt out because I had so many children. Finally, the penny dropped and I realised that there would always be some reason to feel out and that the problem was with me. We are all in different seasons and different circumstances and we need to accept ourselves and our circumstances. 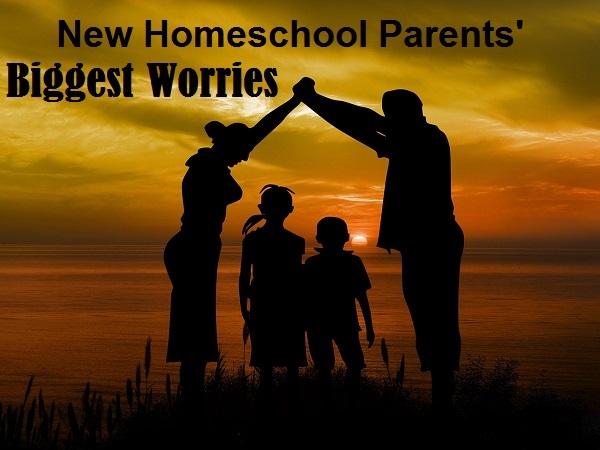 Nevertheless, parents of single children often have worries about homeschooling a single child. Usually the most common concern, is the issue of socialisation. The parents feel that they will be depriving their child of social interaction with other children by choosing home education. You have to weigh the pros and cons of the choices that you have and choose what you think is best. You will have to work at ensuring that you get social interactions for your family, but don’t only focus on peer group interactions. Your child can socialise as much as YOU socialise and this is NORMAL for your family and your circumstances. Why should children need more peer group interaction than adults? Homeschooled children learn to socialise with people of all ages and this is much healthier than only peer-group socialisation, which is all they really get at school. Even if you live in a rural setting where there are not many families nearby, then make an effort to build relationships if you feel you need them and want them. Town folk often love the opportunity to get out into nature to visit farms or small country villages. Take initiative to arrange an outing to a local place of interest or even a monthly homeschool picnic event. Children learn social skills best from adults. Many of the world’s famous leaders, such as Abraham Lincoln were raised as only children in a rural setting and were homeschooled. If you raise your child to be a self-confident person, she will be able to hold her own in any situation. Help your child to learn to be content with her own company and you will have given her a blessing for life. Besides all the usual benefits of home education that apply to all families, there are many benefits of homeschooling an only child. Here are some of them. Perhaps you can add a few more! The challenges might be motivating the child, dealing with self-centred behaviour and teaching your child to share with friends, in the younger years. These challenges apply to children with siblings too. All parents need to recognise that there is a difference between aloneness and feeling lonely. Will my child feel that I am depriving him of the company of other children? Many children are also lonely, even when they attend school and sit in a class with a group of their peers. Forced association does not equal socialisation. When you homeschool, you can choose with whom your child interacts, and you can help her to develop healthy friendships by working at developing friendships with other families in your community. Don’t only pursue relationships with children of the same age. Find people in your community who share common interests – they might be young or old! You might need to make an effort to join sports clubs, hiking groups, cultural activities, a church or other community organisations. As the parent/s, it is your responsibility to choose the form of education that you believe is in the best interests of your child. In some cases, you may have to set boundaries and ask critics to respect that it is your decision. Tell them you value their concern, but that this is not a decision that you have made lightly and they need to support you in it, even if they would not have made the same choice. You need to know why you have chosen to home educate your child and stick to your convictions even in the face of practical challenges and verbal challenges from others. Talk to your child and find out the root of her complaint. Is she looking for attention? Sometimes a child is begging for you to spend more time with her and fill her ‘love tank’ before she will be ready to go off and amuse herself. They say boredom is the mother of creativity. Does she need to have time and tools to get creative and create her own entertainment in the form of hobbies and other pursuits? How do I handle the moms who disapprove of me or think my life is easy because I have just one? In some ways, homeschooling one child is easier so admit this to other moms. You don’t have the same challenges which they might face. However, you can remind them that you have other challenges. Perhaps those moms are feeling overwhelmed and need some encouragement and a fresh perspective on the blessings of many children themselves. Instead of feeling alienated, you could act in the opposite spirit and try to reach to them and help them to refocus on the benefits of their own situation.